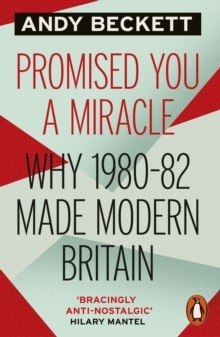 The seventies encompass strikes that brought down governments, shock general election results, the rise of Margaret Thatcher and the fall of Edward Heath, the IMF crisis, the Winter of Discontent and the three-day week. 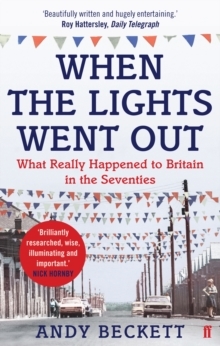 When the Lights Went Out goes in search of what really happened, what it felt like at the time, and where it was all leading. 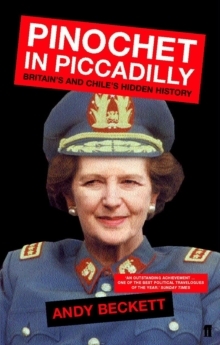 It includes vivid interviews with many of the leading participants, from Heath to Jack Jones to Arthur Scargill, and it travels from the once-famous factories where the great industrial confrontations took place to the suburbs where Thatcherism was created and to remote North Sea oil rigs. The book also unearths the stories of the forgotten political actors, from the Gay Liberation Front to the hippie anarchists of the free festival movement. 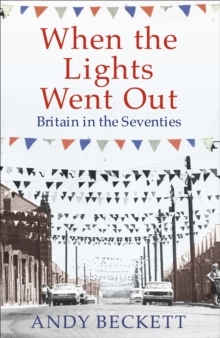 This book is not an academic history but something for the general reader, bringing the decade back to life in all its drama and complexity.